The former first lady, 72, shared snapshots of the tour on Instagram on Tuesday afternoon hailing the trip a ‘sweet visit during this somber week’. 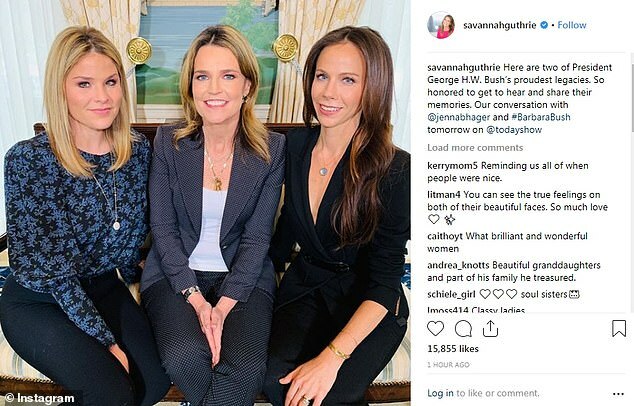 She shared a picture smiling with a dozen of family and friends in front of the official White House portrait of George H. W. Bush. Laura Bush’s visit was announced by President Donald Trump on Twitter Tuesday morning. ‘Looking forward to being with the wonderful Bush family at Blair House today. 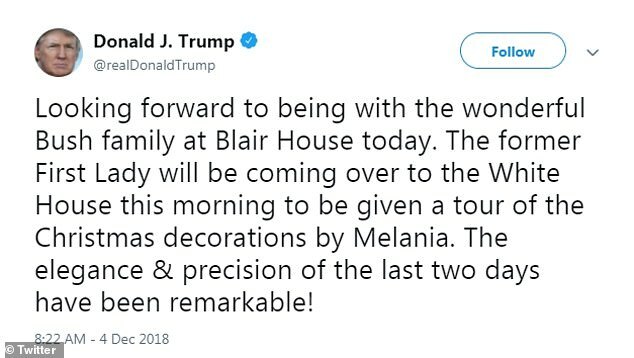 The former First Lady will be coming over to the White House this morning to be given a tour of the Christmas decorations by Melania. The elegance & precision of the last two days have been remarkable!’ he wrote. 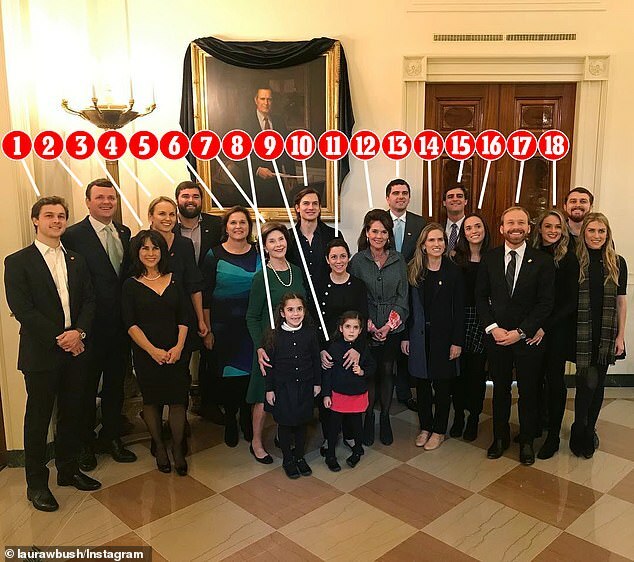 Bush’s sister-in-law Doro Bush and her four children Sam LeBlond, Ellie LeBlond, Robert Koch and Gigi Koch joined the tour as well as several of Bush Sr.’s other grandchildren. 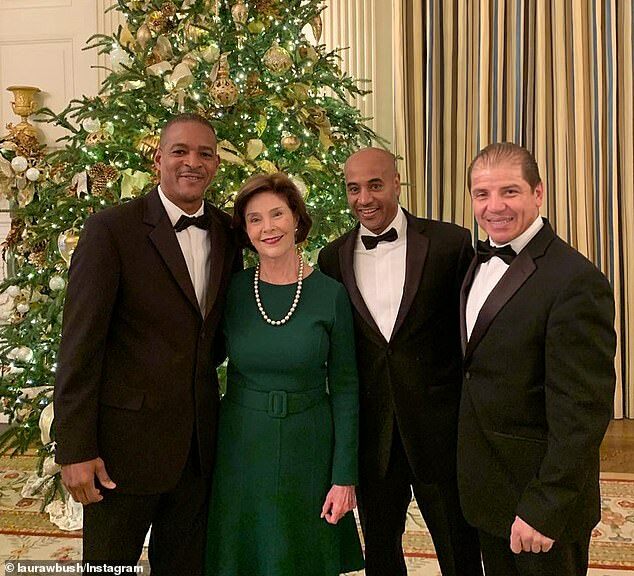 The former first lady also shared a picture smiling with White House staff members she warmly called ‘old friends’. The White House visit was a change of pace for the Bush family that has gathered in Washington D.C. to mourn the loss of former President George H. W. Bush, whose body is lying in state at the Capitol rotunda ahead of a funeral scheduled for Wednesday at the National Cathedral. 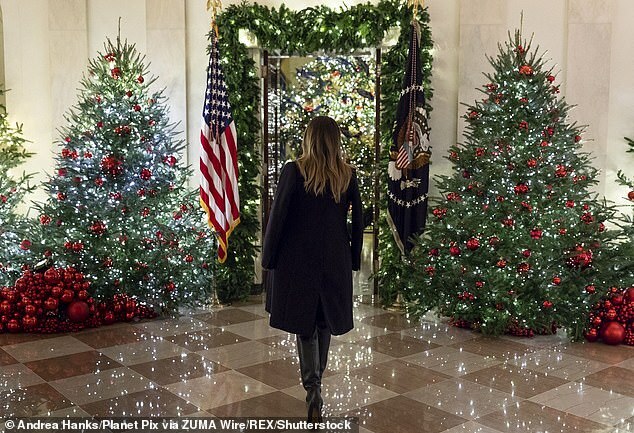 Melania Trump unveiled the White House decorations last week. She decked out the East Wing with red, white and blue decorations with the theme ‘American Treasures’. 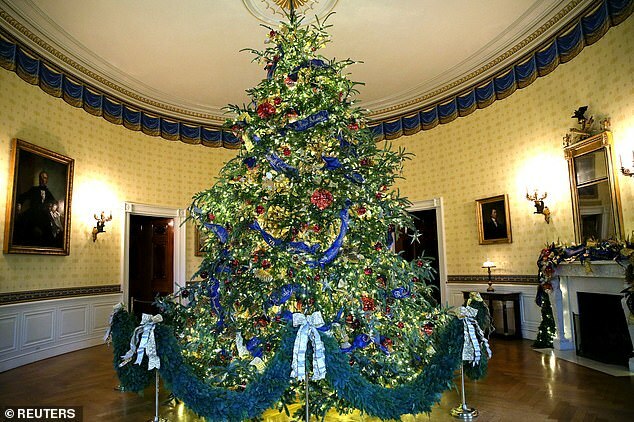 The Bush family likely stopped to admire the official White House Christmas tree which stands at just under 20 feet tall and is decorated with 500 feet of blue velvet ribbon that’s embroidered with gold naming each state and territory. 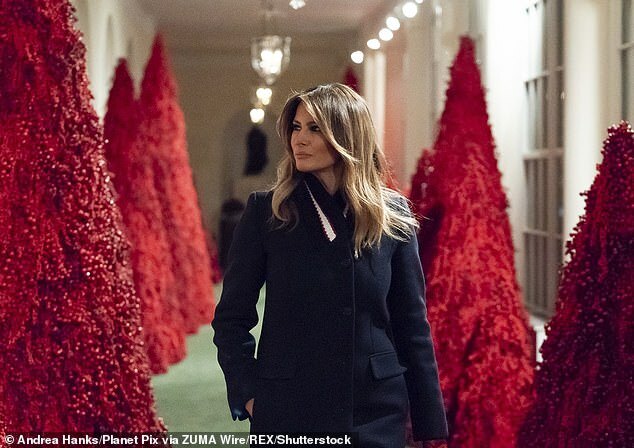 Then they probably walked the hall of crimson topiary trees in the east colonnade and perused gingerbread replicas of the Capitol, the Lincoln Memorial and White House in the State Dining Room.